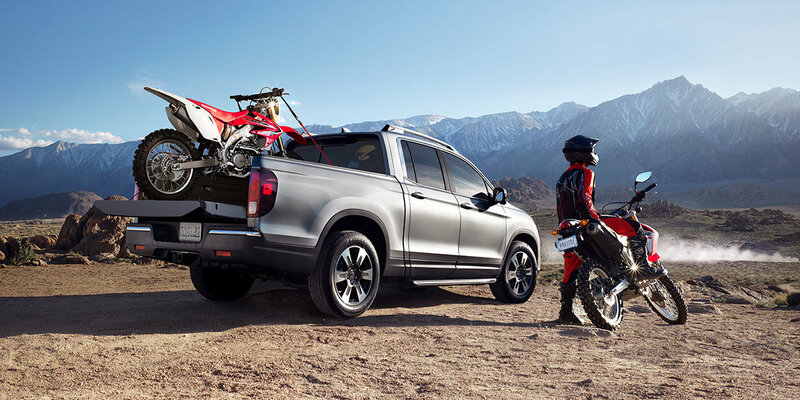 Visit Honda Cars of Bellevue to find the new 2019 Honda Ridgeline for sale in both 2WD and AWD. With a great selection of new Honda Ridgelines available at our dealership serving the Omaha, Bellevue, Lincoln, and Council Bluffs areas, we are sure to have the truck you are looking for. Whether you are located in NE or IA, we are sure to offer the new Honda pickup or used truck you’re looking for! 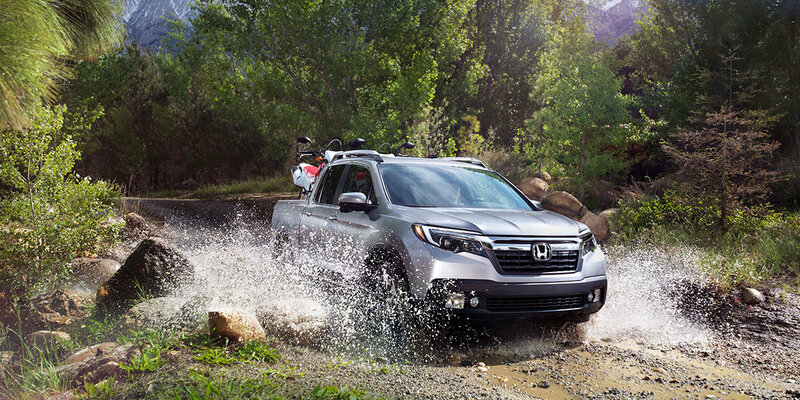 Test drive the 2019 Honda Ridgeline at Honda Cars of Bellevue, your Bellevue, Nebraska, Honda dealership providing a great in stock selection of 2019 Honda Ridgeline trucks for sale. We also have used Honda Ridgeline trucks and other high quality pre-owned pick-ups ready for purchase today. The new 2019 Ridgeline has been completely reimagined and redesigned, featuring a host of innovations that will change the way you see a truck. 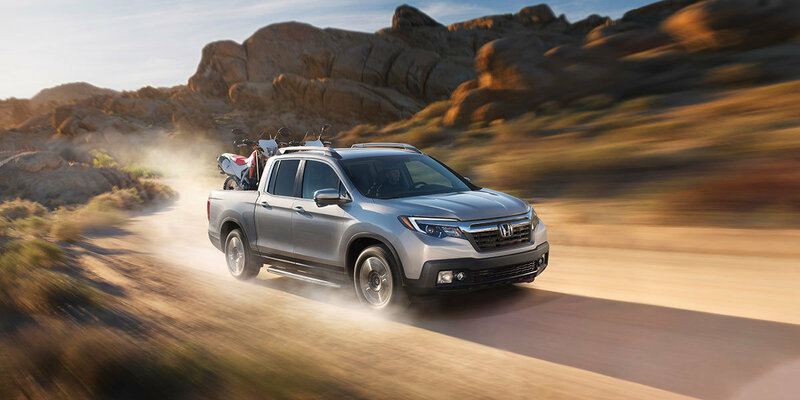 The Ridgeline combines the functionality of a truck with an interior that features upscale amenities, seating for five, and plenty of interior space. Please stop by our Omaha dealership to see what all the hype is about! We can’t wait to show you the new Honda Ridgeline! Infotainment screen size: 5 in. Infotainment screen size: 5 in. Infotainment screen size: 5 in. Infotainment screen size: 8 in. Infotainment screen size: 8 in. Infotainment screen size: 8 in. MSRP excluding tax, license, registration, $995.00 destination charge and options. Dealer prices may vary. 19 city/26 highway/22 combined mpg rating for 2WD models. 18 city/25 highway/21 combined mpg rating for AWD models. Based on 2019 EPA mileage ratings. Use for comparison purposes only. Your mileage will vary depending on how you drive and maintain your vehicle, driving conditions and other factors. The Bluetooth ® word mark and logos are owned by the Bluetooth SIG, Inc., and any use of such marks by Honda Motor Co., Ltd., is under license. Check the HondaLink ® website for smartphone compatibility. Compatible with select phones with Bluetooth ® . Your wireless carrier's rate plans apply. State or local laws may limit use of texting feature. Only use texting feature when conditions allow you to do so safely. 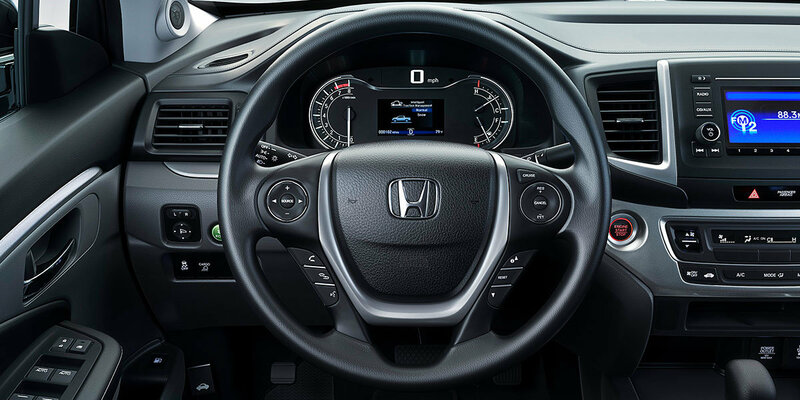 The Honda Satellite-Linked Navigation System™ is standard on RTL-T, RTL-E and Black Edition models in the United States, Canada and Puerto Rico. (Honda HD Digital Traffic service only available in the United States, except Alaska). Please see your Honda dealer for details. Road Departure Mitigation only alerts drivers when lane drift is detected without a turn signal in use and can apply mild steering torque to assist driver in maintaining proper lane position and/or brake pressure to slow the vehicle's departure from a detected lane. Road Departure Mitigation may not detect all lane markings or lane departures; accuracy will vary based on weather, speed and road condition. System operation affected by extreme interior heat. Driver remains responsible for safely operating vehicle and avoiding collisions.